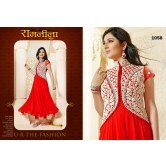 Craftsvilla.com is the largest online marketplace for unique Indian products including Handmade, Vintage, Ethnic, Organic and Natural products. Register to get regular updates from Craftsvilla.com on new products, sellers and rewards. You can also register using your facebook account below. 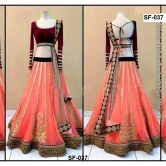 Hot Selling New Multi Color Bollywood Lehenga Very Lowest Price Only For You....!! © Craftsvilla.com. All rights reserved.